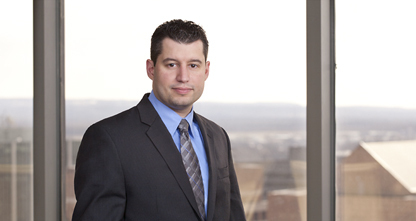 Daniel Gibson coordinates and manages global utility and design portfolios for large and medium sized international corporations, and provides extensive opinion work pertaining to non-infringement, invalidity, and guidance. He is also experienced in both domestic and foreign prosecution of patent applications in a variety of mechanical, electrical, and design fields. Additionally, Dan is a named inventor on a patent and on multiple applications directed to beverage container technology. He co-chairs the Design Patent Practice Group.